Thank you for your interest in attending the annual MMEA In-Service Workshop/Conference as an exhibitor! The exhibit portion of the conference continues to provide a valuable service to our attendees and we are looking forward to another successful conference in 2019. 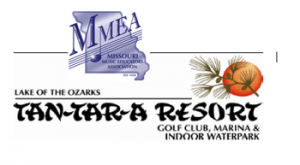 Application to exhibit at the annual MMEA Conference is now ONLINE! NOTE: The application to exhibit is not enabled for access via mobile device. Please register using laptop or desktop computer. Thank You.